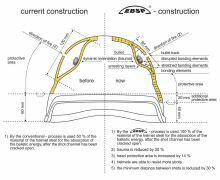 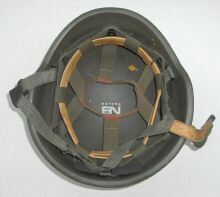 NIAL-Vizer-Šestan was registered in 1994 to produce helmets – the first company in Croatia to do so. 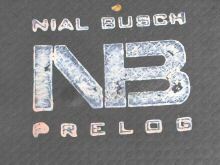 Nial Busch (NB) was registered in Sept ’95 and Sestan Busch (SB) in December that same year. 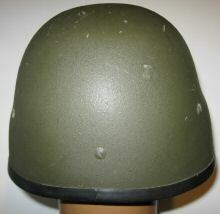 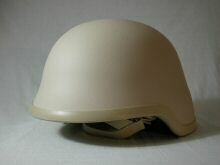 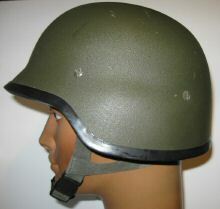 SB produced their first 1,000 combat helmets for the MOD (Republic of Croatia) in Dec ’95 and a further 4,000 in ’96. 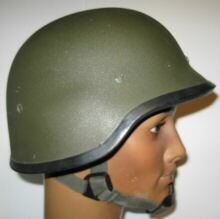 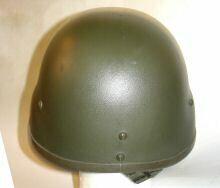 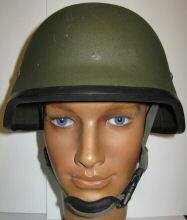 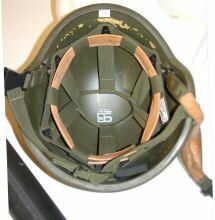 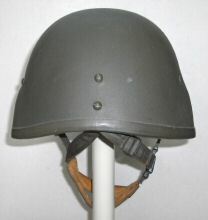 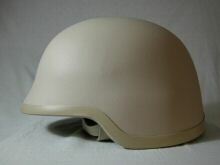 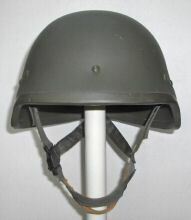 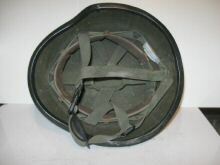 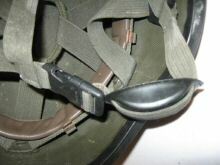 Sestan-Busch claims to export to 20 different countries inc. Mexico, Czech Republic, Poland, Lithuania, Bulgaria, United Arab Emirates, Saudi Arabia, England, Russia & Canada and also claims to be responsible for the design and production of a new composite military helmet for the German Army and the armies of France, the Netherlands, Croatia and others. 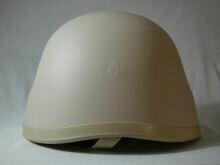 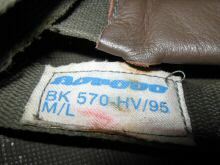 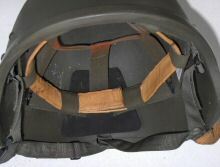 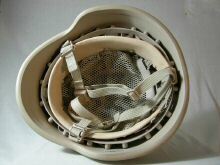 Material is Aramid, the helmet is covered with special ABS-film. 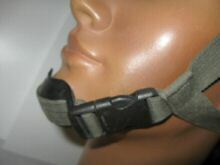 Chinstrap has a three point link with quick-release catch. 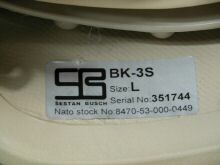 Mass 1,30 kg (small), 1,40 kg (medium), 1,55 kg (large)." 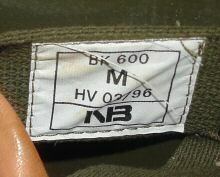 No idea unfortunately what the 'S' represents in this new designation. 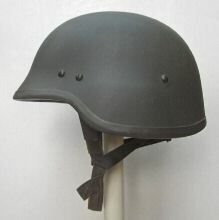 Perhaps signifies nothing more than the 'sand' colour finish. 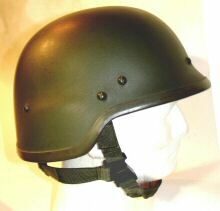 See also DUBAI in this website for a very similar helmet. 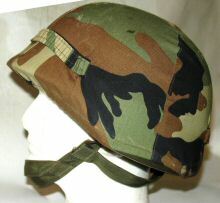 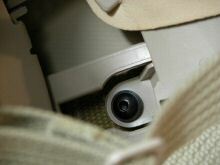 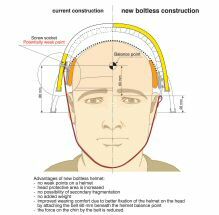 They can reasonably be assumed to be export helmets intended for the Middle East or other similar terrain region."